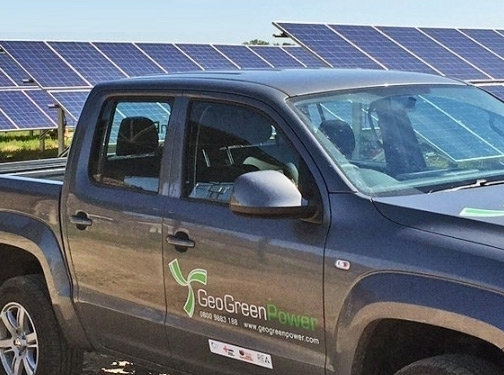 Geo Green Power is part of a network of renewable energy firms across the UK, specialising in the provision of solar PV panels. Based in the Midlands, the teamwork on all kinds of projects from private domestic residences to large-scale commercial developments, and have a track record of delivering high-quality installations and exceptional customer service. Geo Green Power supply not only solar panels but complete renewable energy systems, including heat pumps, battery storage and energy efficient boiler systems. Their services can be tied into the Government-backed Renewable Heat Incentive and the team can provide advice about the various grants available for solar panel funding assistance. Visit the website for more information about types of solar panels, heat systems and any of the other services available they offer. Should you have any further questions, feel free to submit an enquiry and someone will respond as soon as possible. UK (Wysall, Nottinghamshire) based business providing renewable energy solutions including solar panel installation services. Website includes details of services provided, work examples and case studies, associations, testimonials, full contact details. Company website has been online since 2011 according to web.archive.org.